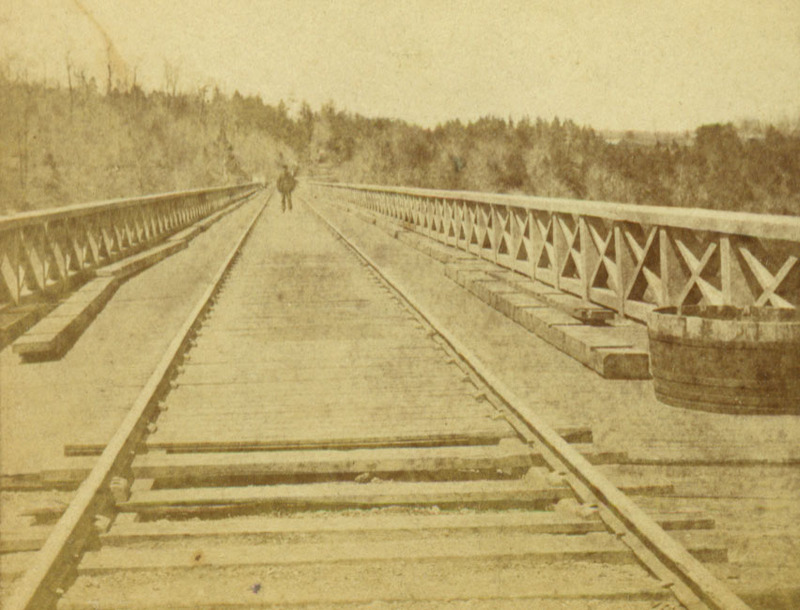 This view looking across the Portage Wooden High Bridge is interesting in several ways. First, it was taken from the east end of the Bridge, looking west. 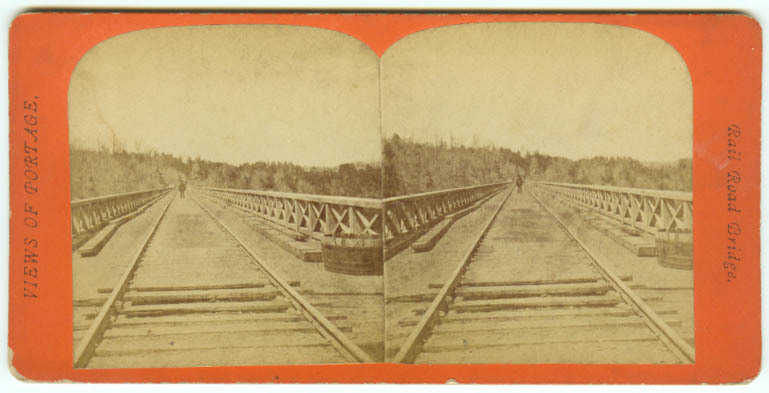 Most views of the top of the trestle were taken at or near the west end, looking east toward the Station, Cascade House, and other structures. (See image 47, for example). The west end is undeveloped, with only a small structure which probably provided shelter (see image 100 )to the local watchmen who protected the bridge from fire. There were also a set of stairs leading down from the top of the bridge, not visible in this image. (See image 99) A large low barrel, seen to the lower right, provided a water supply so the watchmen could extinguish any fires started by sparks from the engines. Also, it appears that some sort of bridge repair was underway, since large notched beams have been laid beside the tracks the length of the bridge.